Some people will try to tell you that they have a fantastic reputation. But that’s not really the point of a reputation is it? If you have to tell someone about it, is it really there? Some people will tell you that they don’t have a reputation at all. I’m not sure that that’s true either. Surely someone has an opinion about them. Then there are those who have a reputation that precedes them. Over many years, they’ve put in the hours, developed elite, valuable skills and built mutually beneficial relationships with others. Alternatively, they may have done one newsworthy thing (good or bad) that is remembered for years. 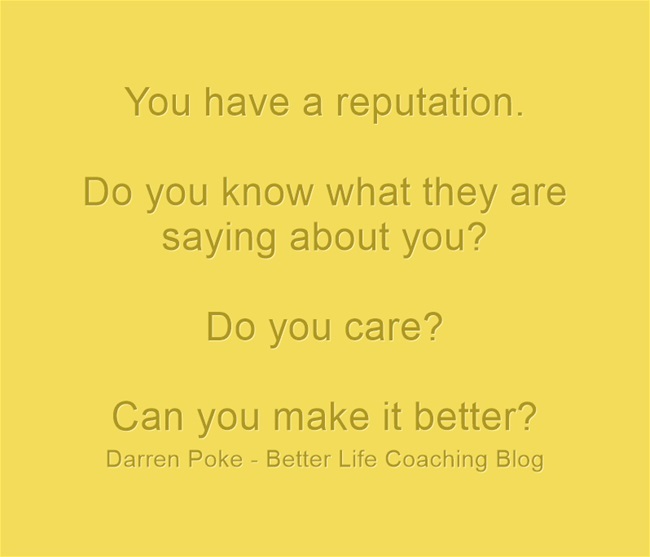 Do you know what they are saying about you? And remember, don’t tell us what your reputation is, we’ll tell you! Reputation with ourselves is the most important.